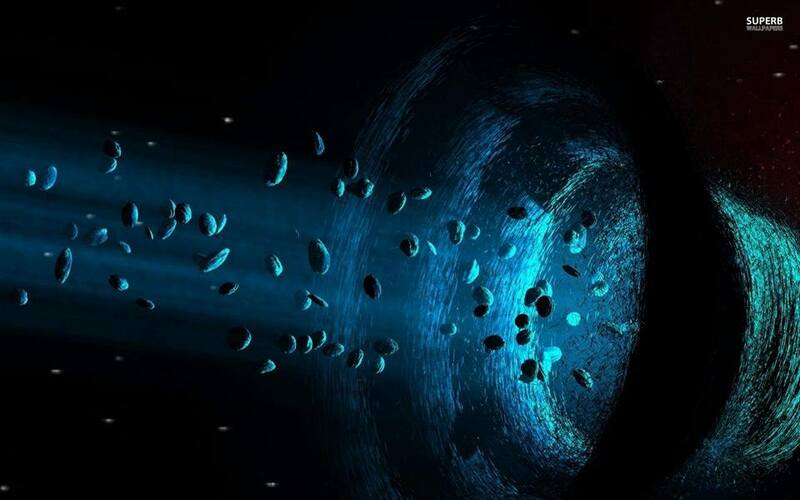 Home / Astronomy / Astrophysics / Slider / Is it possible for there to be no significant mass inside of the super-massive black hole in the center of The Milky Way? Is it possible for there to be no significant mass inside of the super-massive black hole in the center of The Milky Way? Before you say "no," what if every star is simply orbiting every other star simultaneously around a shared barycenter in place of the SMBH (like a binary star system but with trillions)? If that is the case, then Kepler's laws wouldn't apply because they rely on a central mass controlling the system and there could be no galactic rotation anomaly. 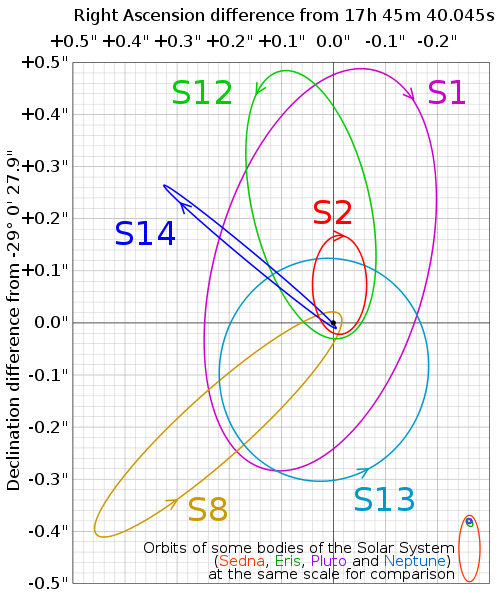 Also, are there any equations pertaining to orbit in a system with no centrally-dominating mass? In the 90's, people had doubts about what would he residing at the center of the Galaxy (which is called as Sgr A*). Could it be a massive black hole, or is it a cluster of highly dense stars, or is it something else? 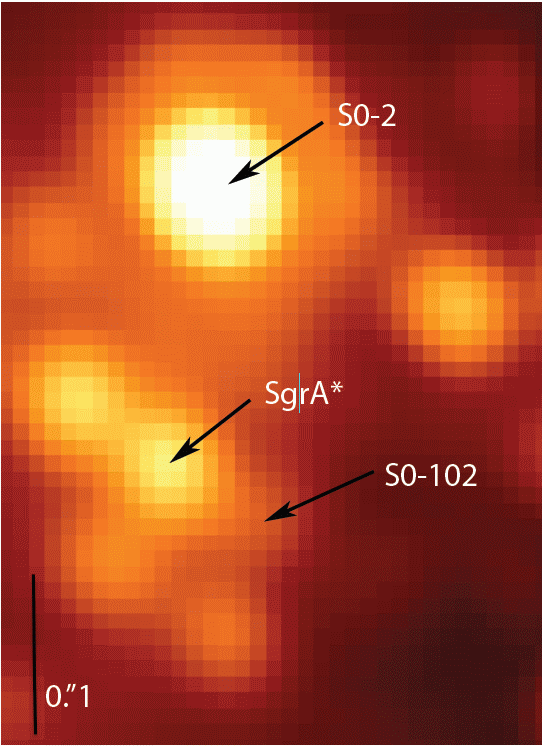 From these observations, the mass and size of Sgr A* was deduced, which was 2.6×106M⊙ confined within a region as small as 120 AU. 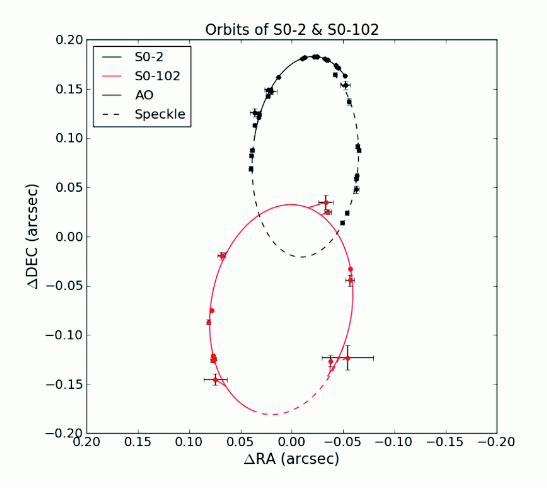 Further observations of star S14 improved these numbers to 4.1×106M⊙ and 45 AU. Let's compare this to something we are a bit familiar with, our solar system. The (average) distance between the Sun and Neptune is about 30 AU. Now imagine having few million stars within that region. It is impossible to have a stable configuration of a million stars in that small region. It is definitely some kind of compact source. Could it be a collection of many compact sources, such as Neutron stars or stellar/intermediate mass black holes? Even if it was such, due to strong gravity, they will undergo collisions and mergers to eventually form a super massive black hole (within a very short time). So this leaves only one possible candidate: a Super Massive Black Hole.